Originally from Omagh in Northern Ireland, Arlene originally came to the stores to take over from her daughter, Lauren, who had signed up to a Duke of Edinburgh stint for a few months, but then didn’t have enough time...Arlene stepped in and has been here ever since! As it turned out, it coincided nicely with Arlene’s retirement from legal practice in The City, where she had worked as a shipping finance lawyer since 1991. Having graduated from Dundee University, Arlene gradually moved southwards, first to Manchester for her legal practice course, then Battersea, Balham and South Croydon! 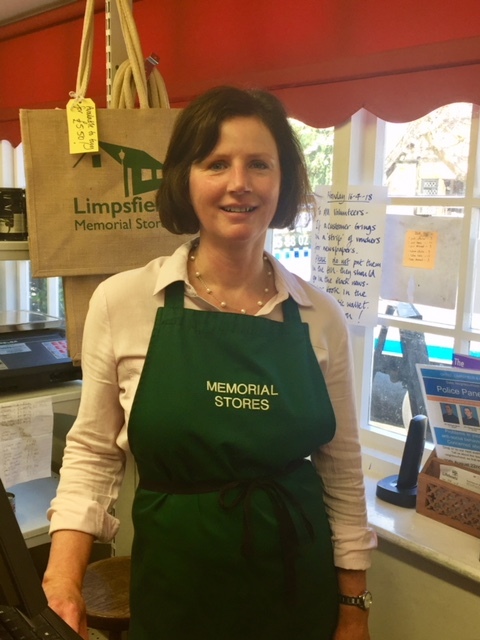 She and husband Mike (also in the shipping industry) moved to Hookwood Park in Limpsfield almost 6 years ago, having discovered the village through work meetings and sampled the delights of The Bull for the odd meal out “in the country”! Having always been a keen gardener, Arlene had never tried growing vegetables, but now does so with great success and a lot of enjoyment. Aside from gardening, she loves going to the theatre in London, Pilates, Ballet X classes and walking with her little Westie, Alfie. Her big love, however is rugby. A massive Ireland supporter, no one sits on the Irish sofa with Arlene when the six nations is on! Arlene loves a good laugh – particularly at the many stories her husband tells...or rather at his inability to finish them as he is laughing at them too much himself!! 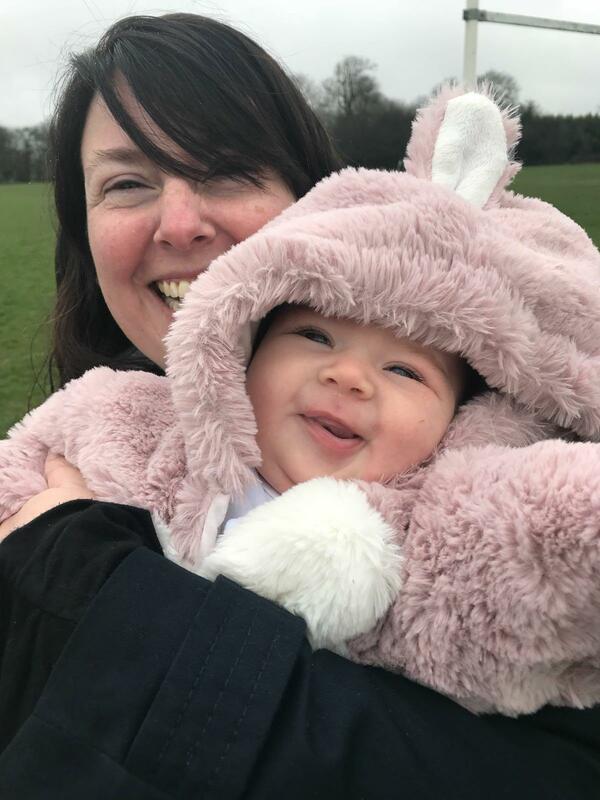 Our fearless leader, post mistress and rugby fantatic, Kerry Daniels is on maternity leave until September, having had little Delilah Doris back in February. She's not exactly been taking it easy though...As Under 9s Team Admin up at Warlingham Rugby Club (The Mighty Warl), Kerry and Team Cheer, Delilah (who was 13 weeks on Wednesday) have already been to four rugby festivals and a weekend-long tour! Delilah got the award for Best Newcomer at the team's end of season ceremony and was presented with her very own shirt. 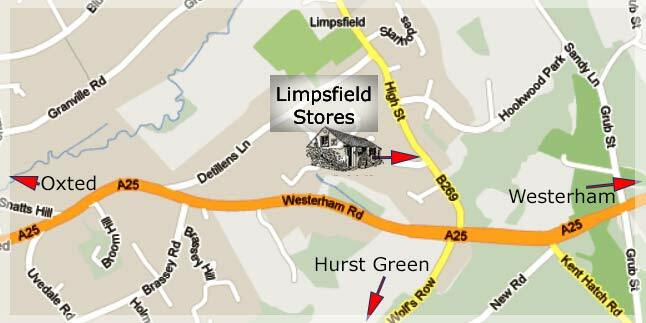 A very happy new year to everyone in Limpsfield and the surrounding areas. While we're still in a christmassy mood, the festively-dressed Nicky Gill is our volunteer of the month for January! 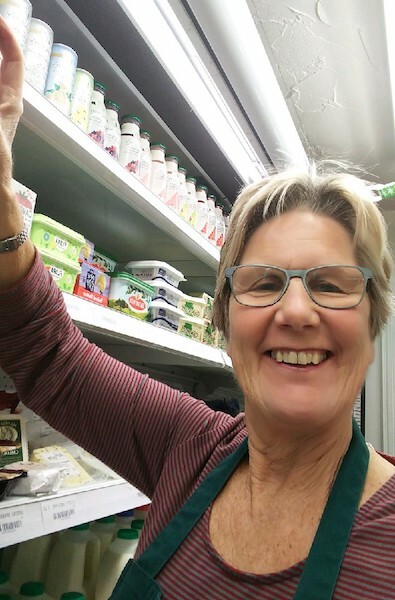 Nicky is a familiar face in the stores having lived in Limpsfield most of her life and has been a volunteer for over 12 years, 11 of which have been spent behind the post office counter. Although she now lives in Warlingham, Nicky still views Limpsfield as “home” and loves everything about it, including the views, the woods, the golf course, the chart and of course, the people! Nicky grew up in Priest Hill Lodge – right by the Stores – where she lived with her parents and attended Laverock school (which for those who haven’t been around for as long, was a girls’ school that used to inhabit the spot where Hazelwood Larks is now). A former teacher, Nicky is also a Librarian at Warlingham Community Library. She's also a keen actor and singer, was a member of St Peter’s Choir and regularly treads the boards for the Oxted Players, Merstham Amateur Dramatic Society and Warlingham Am Dram! Don't mess with her, as she's particuarly skilled with a needle and loves sewing, knitting and crochet. Chocolate Viennese Whirls are her particular weakness in the treat department! This month's superstar volunteer is the effervescent, Charmian Gilbert! A long-standing resident of Limpsfield, Charmian lived in Detillens Lane for 10 years before moving to Dwelly Lane in Staffhurst Wood, where she has now lived for 51 years! She married her husband, John at St Peter’s Church and both daughters also live in the village. Charmian enjoys a good laugh and her smiley face and warm personality has been welcoming customers into Memorial Stores for over five years. Aside from helping in the Stores, Charmian sings in a local choir that raises funds for various charities. She also enjoys gardening, swimming, yoga, walking, spending time with her family and visiting National Trust properties. She’s a sucker for our Carrot Cake, her favourite treat amongst the huge variety of delicious cakes and biscuits on sale! Come and see our Christmas selection! This year's "must have" bag!